Born on Krypton, Kara Zor-El fell to Earth, landing in Russia, and raised as a Russian citizen. 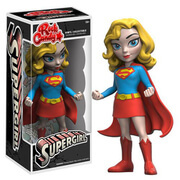 Joining the Soviet Union Air Force with her Foster sister, who later became Stargirl, Supergirl became the face of the Russian resistance. 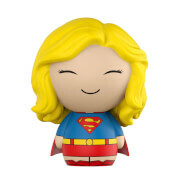 With a plethora of incredible superpowers including a variety of vision modes, flight, strength and speed, this is one Pop! Vinyl Figure you don't want to get on the wrong side of!